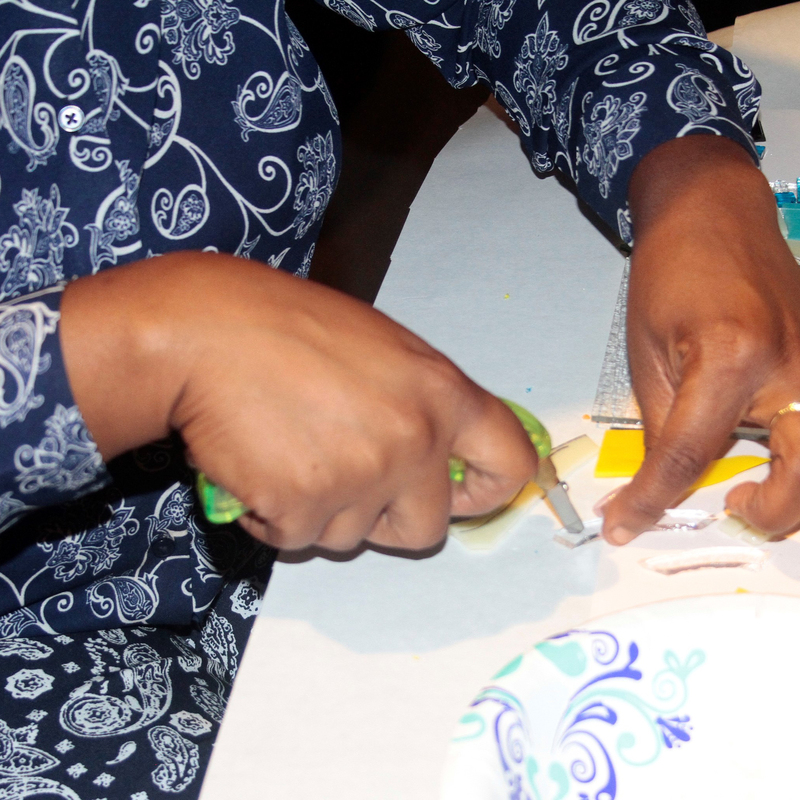 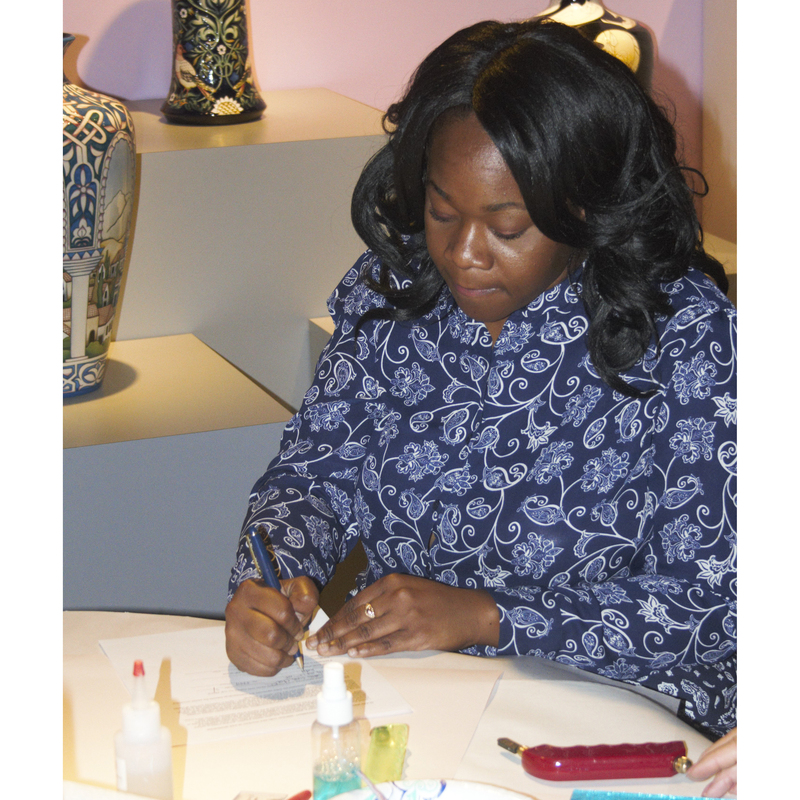 WMODA was bustling with creative activity during International Museum Day. 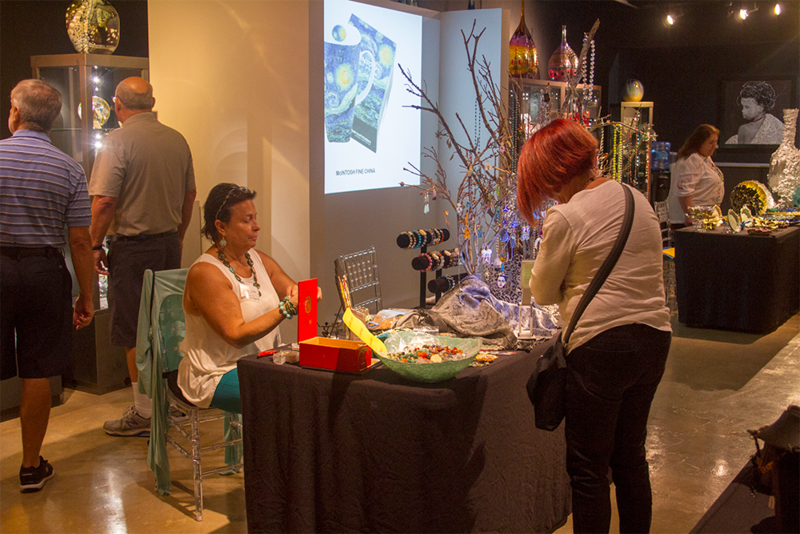 Our Artistry in Action series continued with a spectacular show presented by the local artists who are represented in our museum shop. 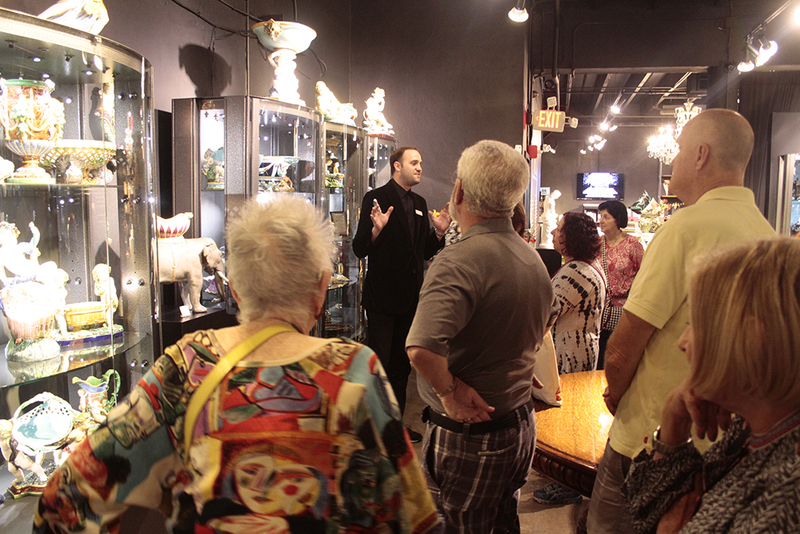 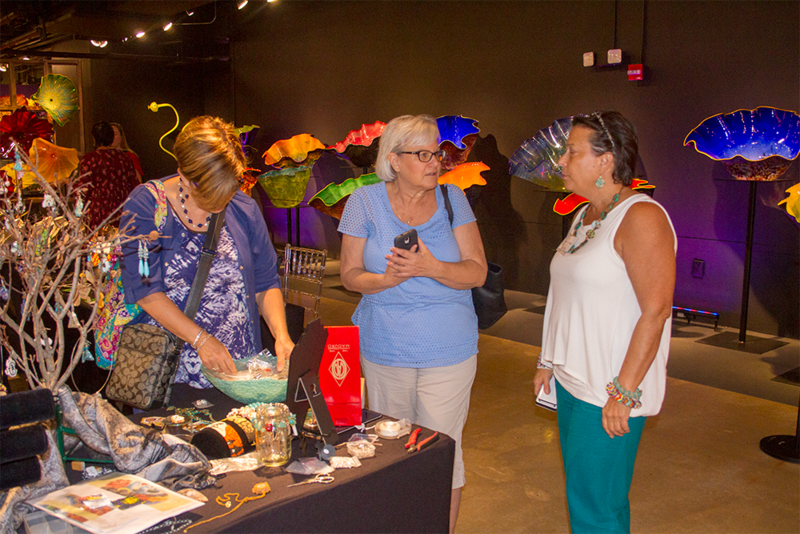 They displayed their work in the Chihuly gallery and discussed their creative processes with visitors. 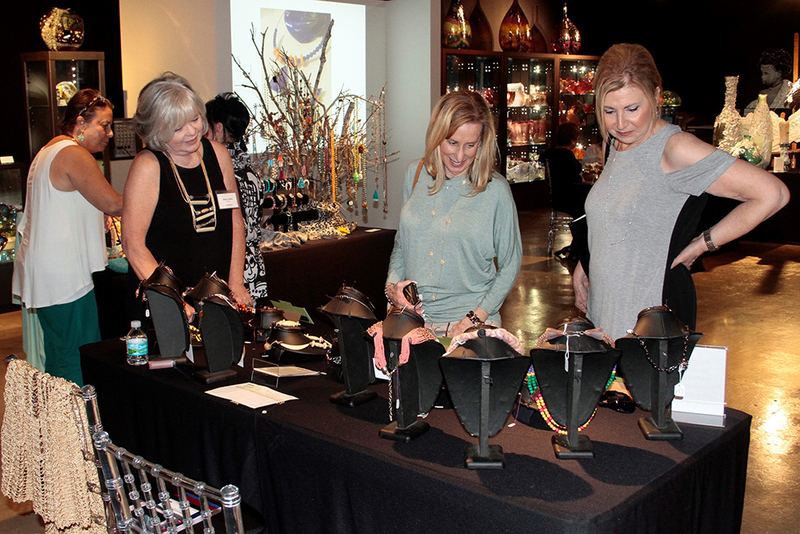 Check out their beautiful designs in the museum shop when we celebrate Christmas in July at WMODA. 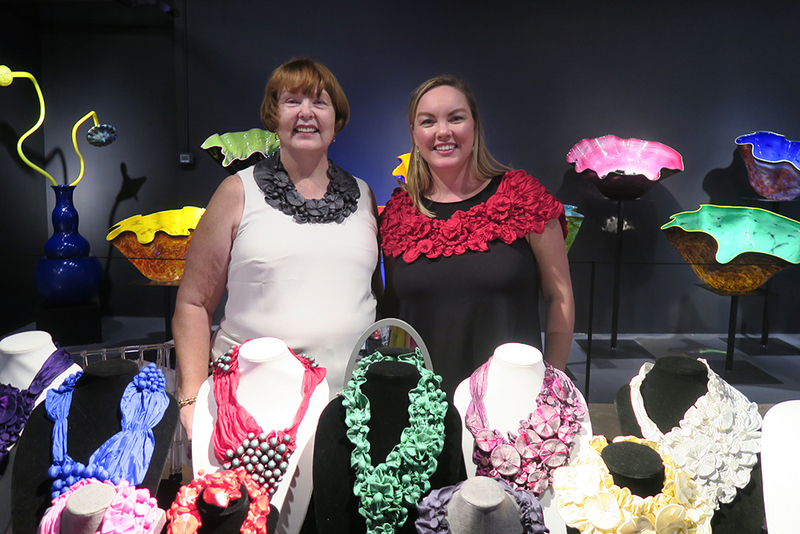 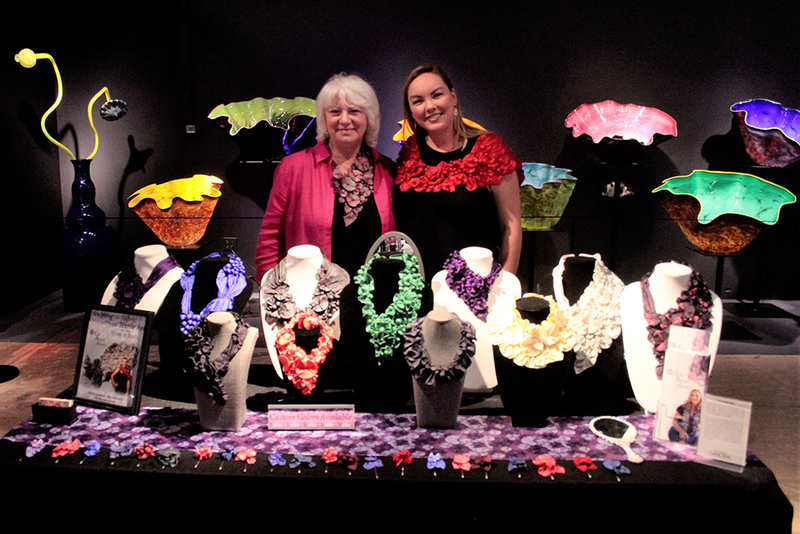 Erin Bassett sculpts wearable silk accessories in all the colors of the rainbow and her current collection looked spectacular in front of Chihuly’s Macchia forest. 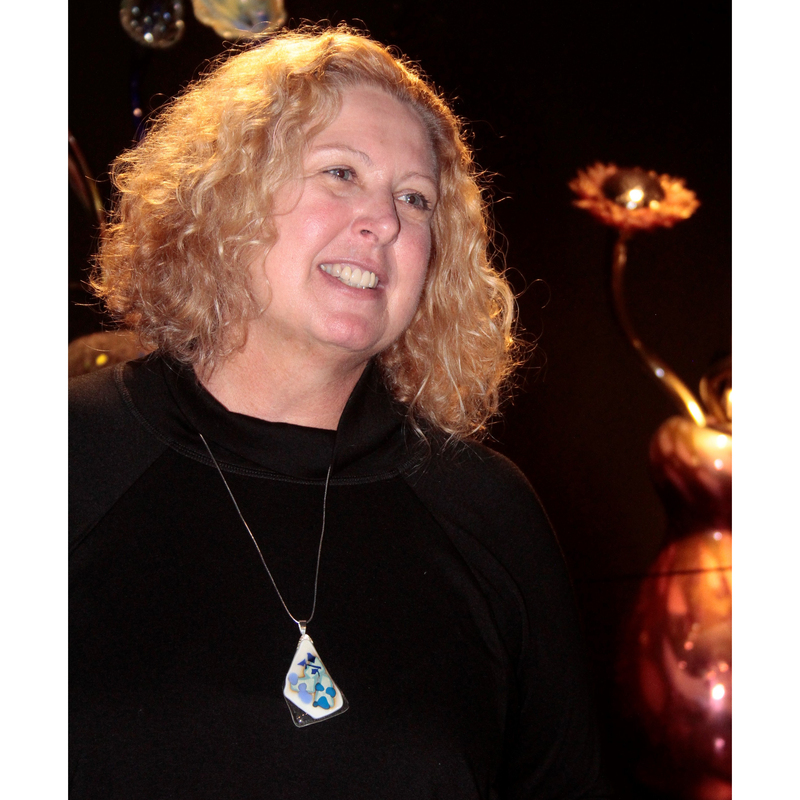 Sandy Beach collects sea glass during her international travels and makes beautiful jewelry with her beach-combing discoveries. 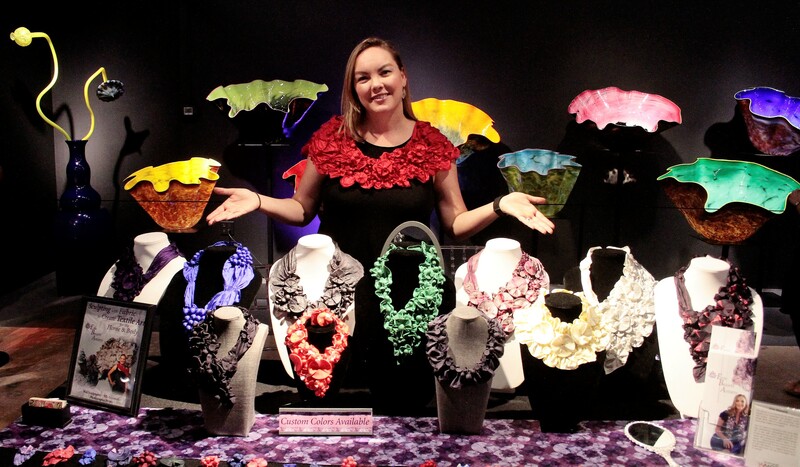 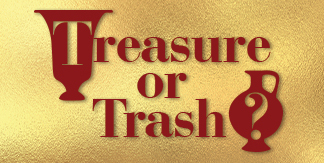 Recycling also provides Betsy Alexis with the materials for her intriguing, one-of-a-kind necklaces. 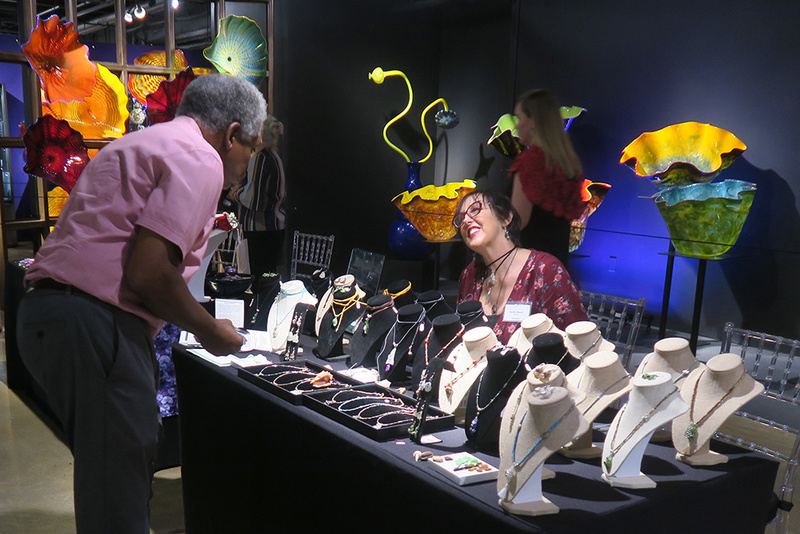 Betsy uses re-purposed beads from antique stores as well as glass, clay, slag, scrap metals, and shells. 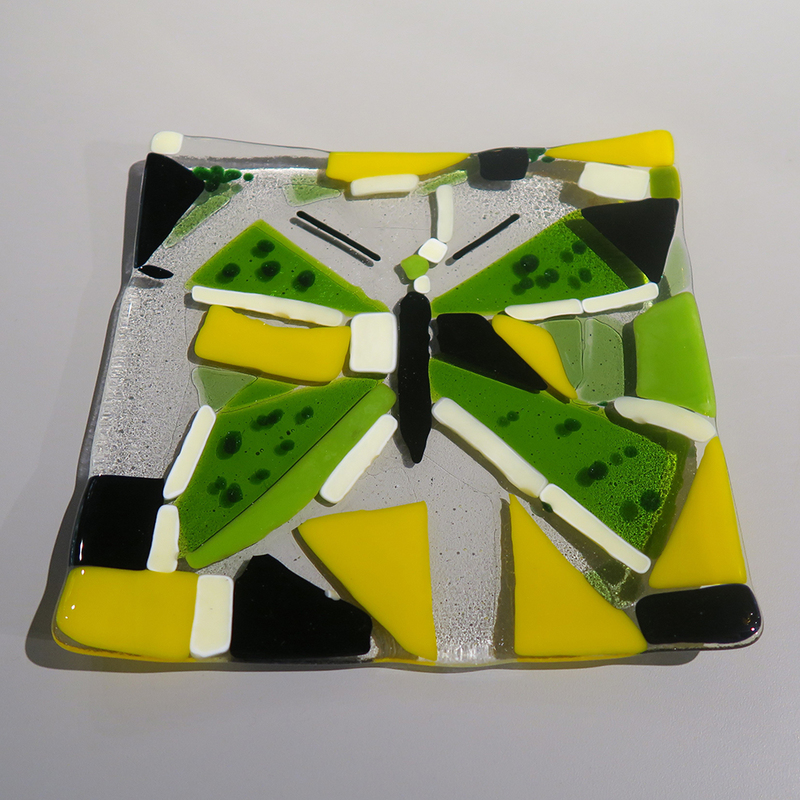 Even circuit boards and electrical wire have been plundered for interesting parts. 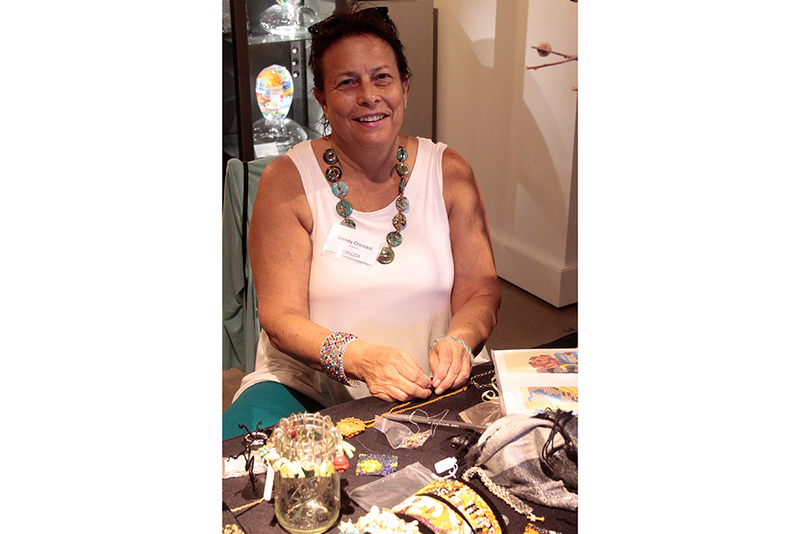 Beadaholic Wendy Chercass showed visitors the intricate weaving processes she uses to create her stunning beaded bracelets featuring famous personalities such as Marilyn Monroe. 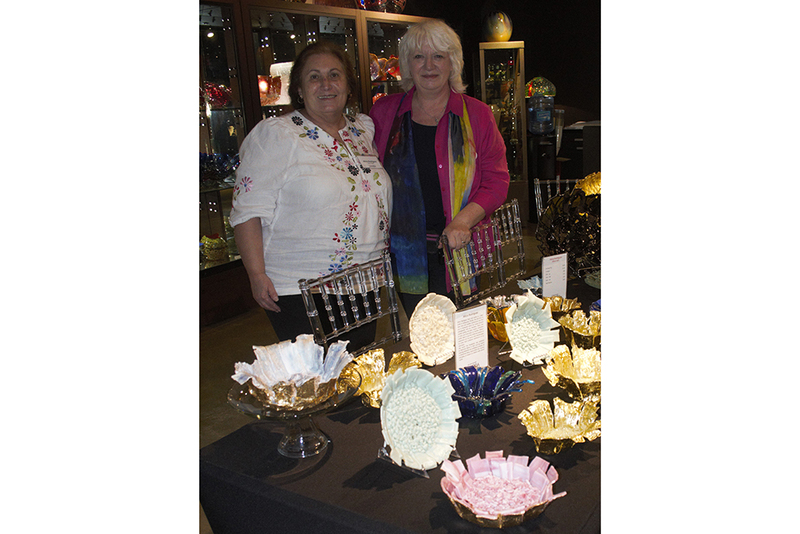 Glass art was represented by Alicia Rodriguez who weaves bowls and plates with ribbons of recycled glass. 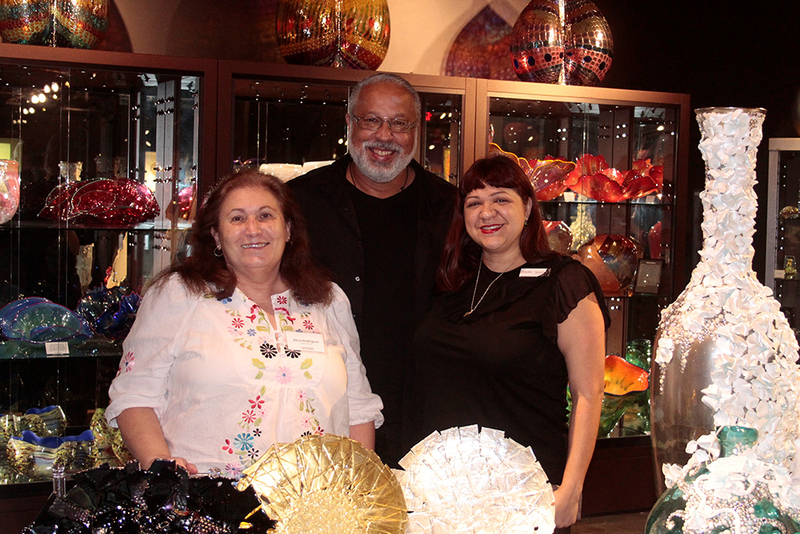 Rey Lozano also repurposes glass vases and bottles with his acrylic floral designs hand-painted in high relief. 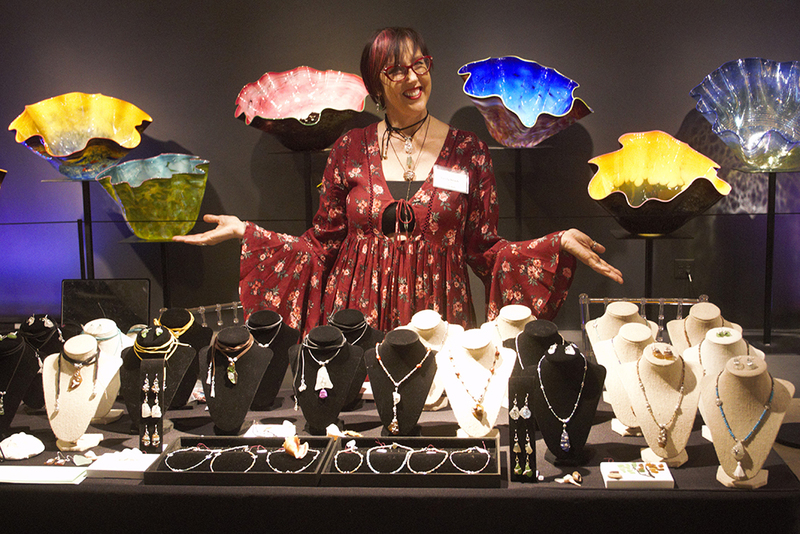 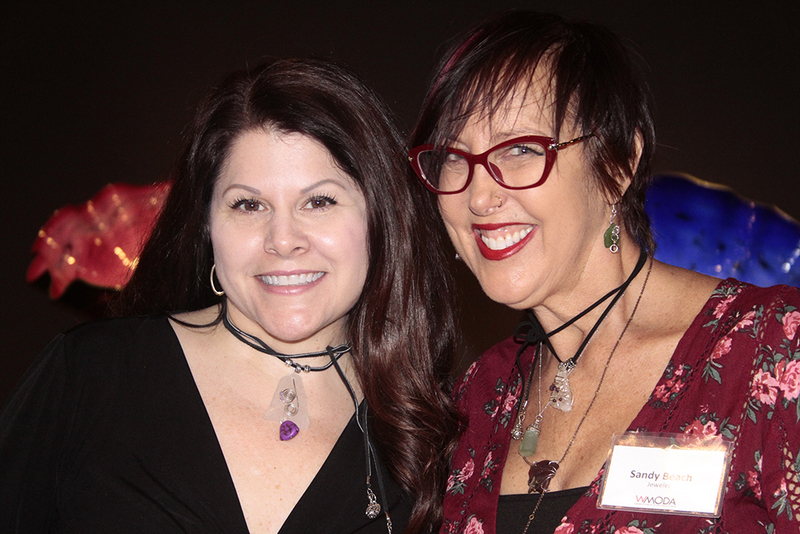 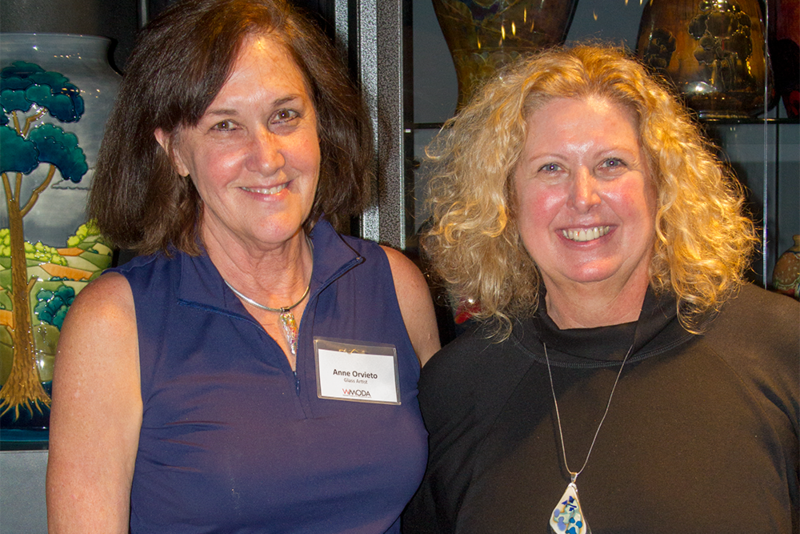 The multi-talented Lori Brown showed her silver jewelry alongside her fused glass designs. 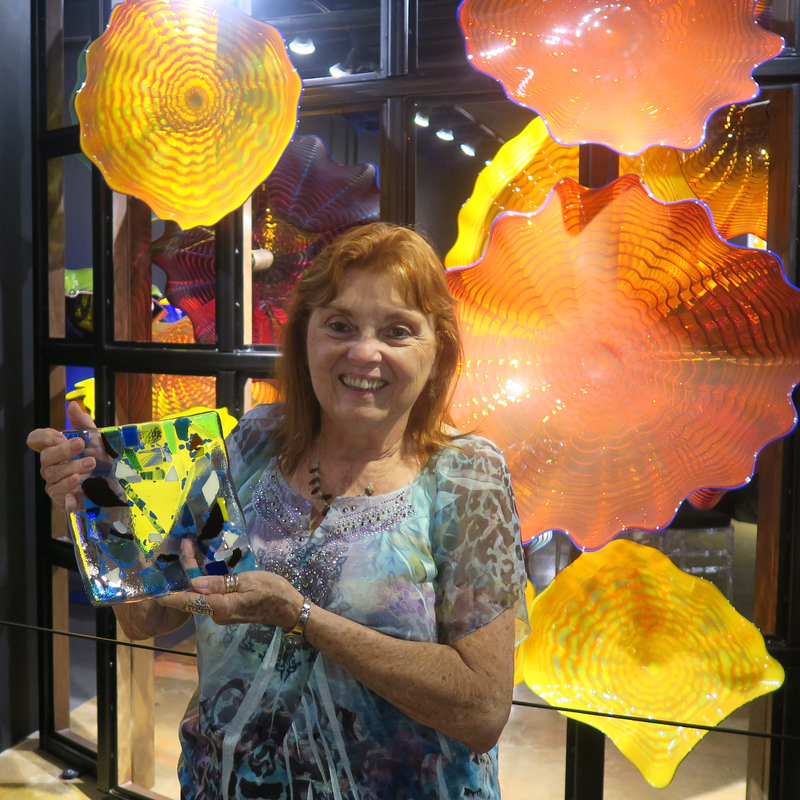 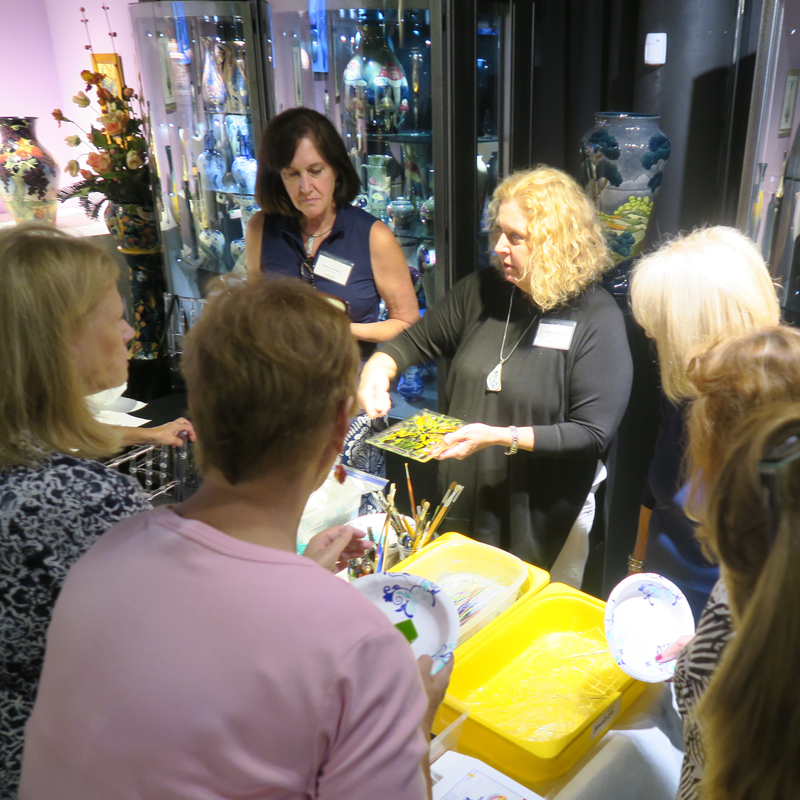 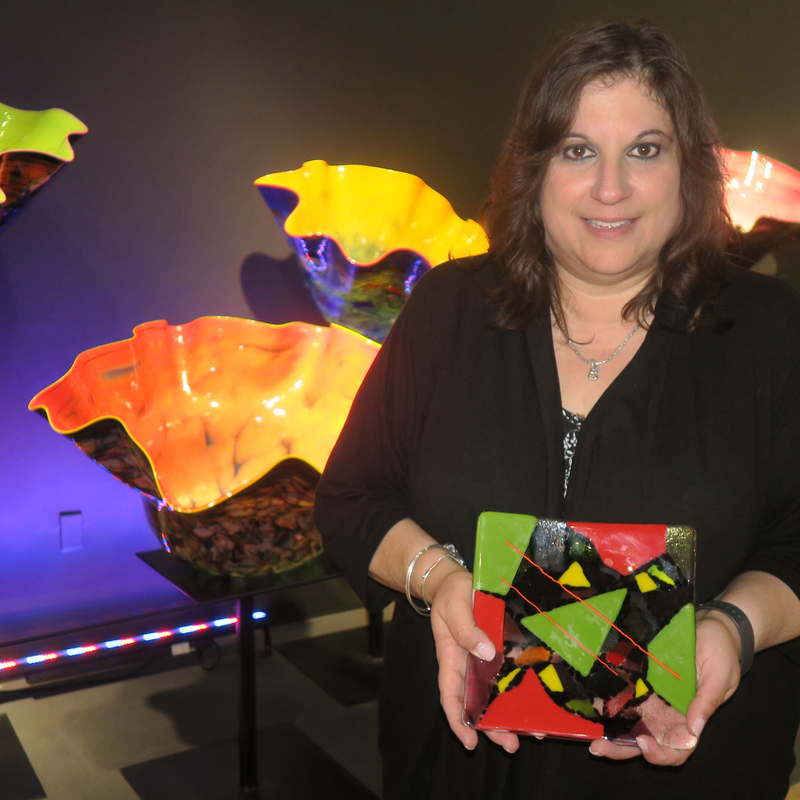 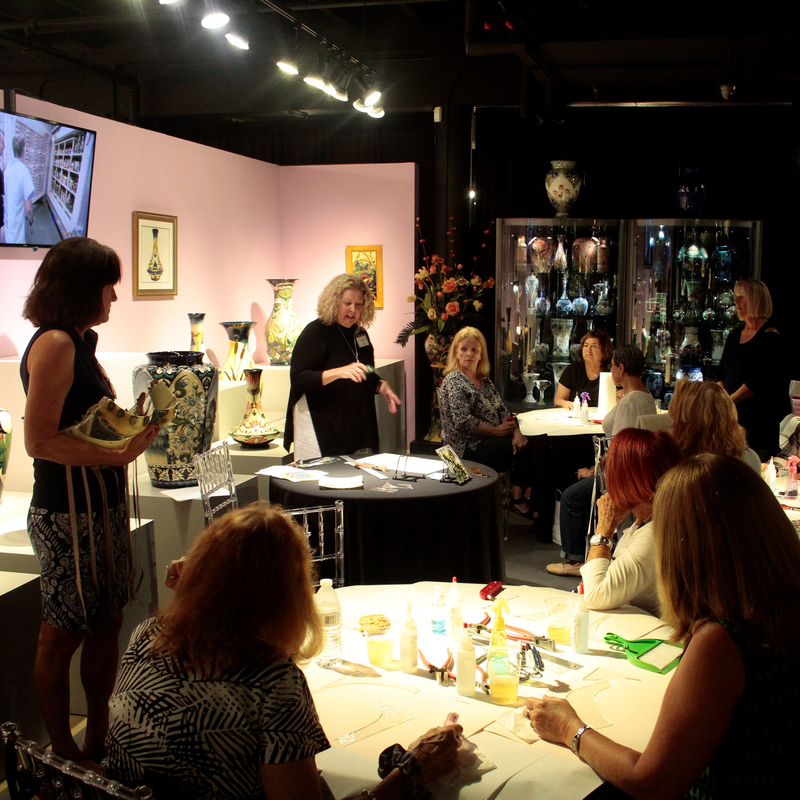 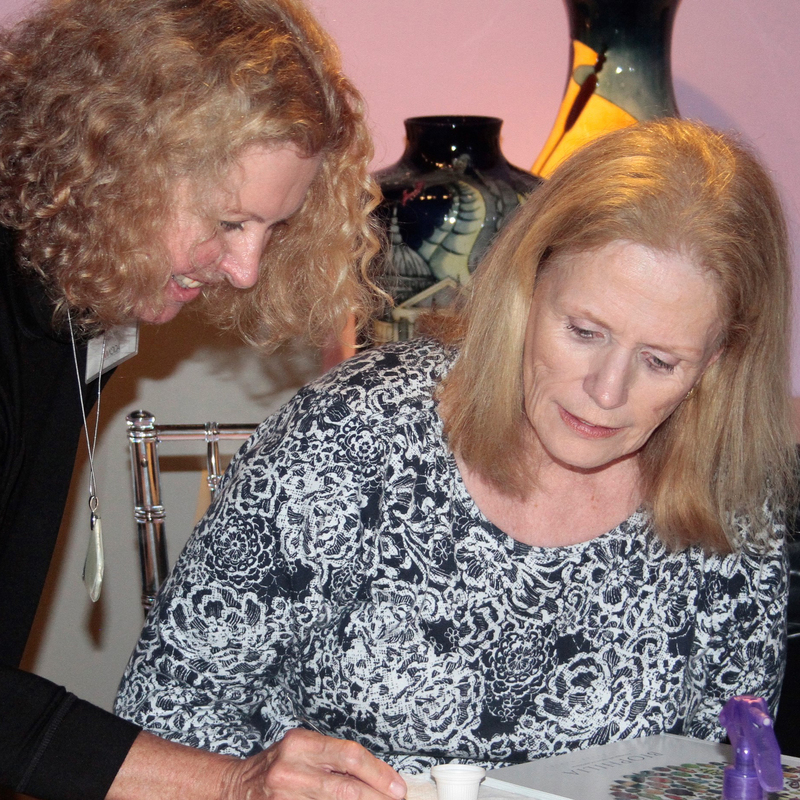 She explained the various fused glass processes while fellow glass artists Chelsea Rousso and Anne Orvieto initiated a new group of glass makers at one of our popular WMODA Workshops. 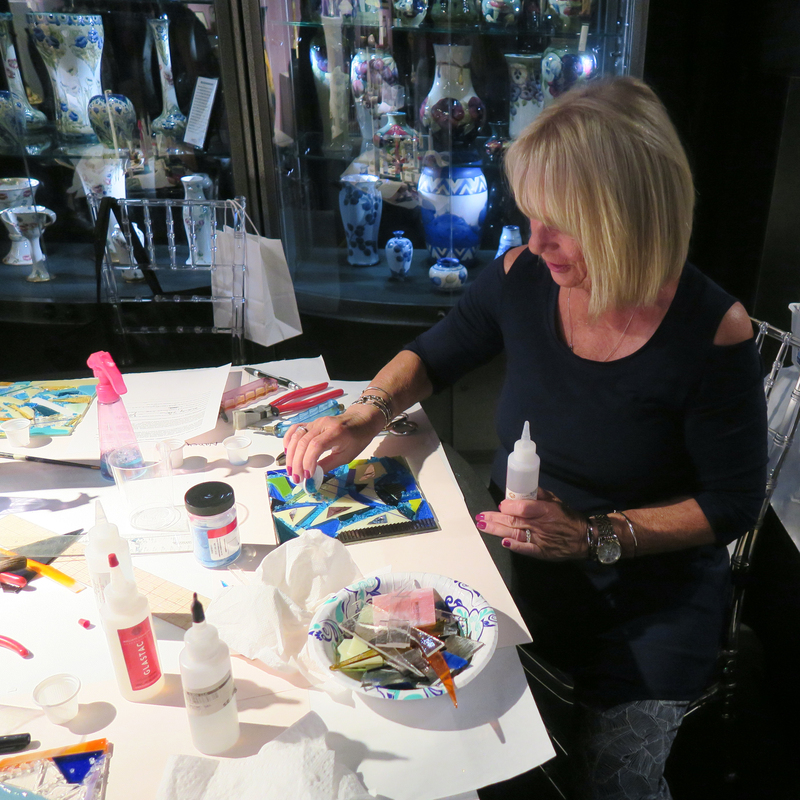 Another highlight of the day was Matteo Montagner hand-painting Venetian masks using traditional techniques. 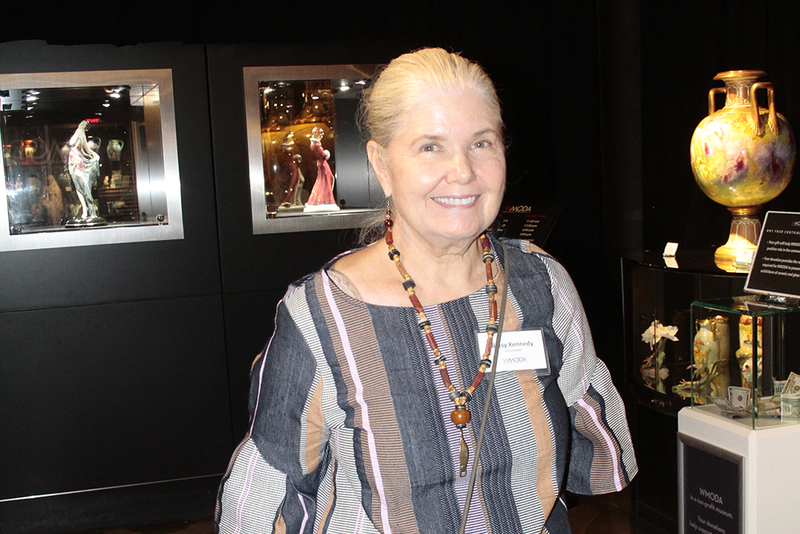 The latest masterpiece from the Balocoloc studio is the massive rhinoceros mask which is richly decorated with images from The Kiss by Gustav Klimt surrounded by raised gold and jeweled motifs. 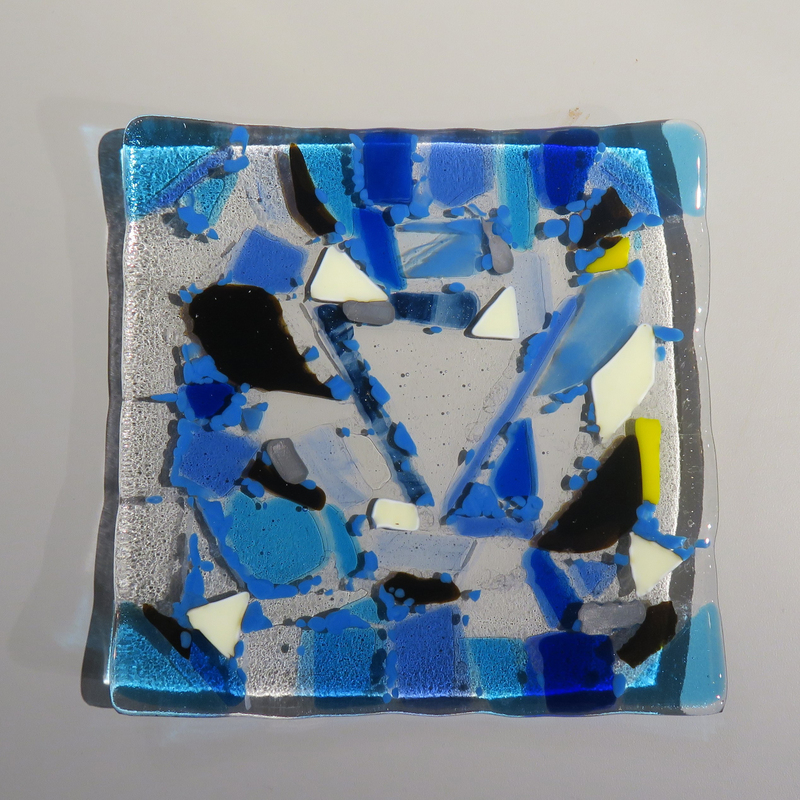 It now has pride of place in our Carnival & Cabaret exhibit. 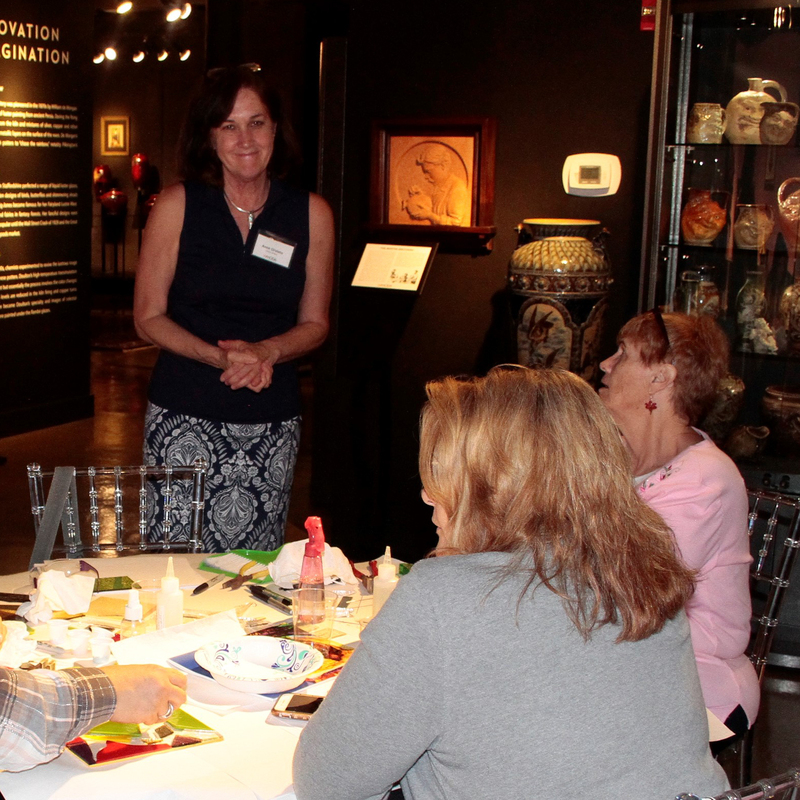 Meanwhile in the Moorcroft gallery, Chelsea Rousso and assistant, Anne Orvieto, helped another group of aspiring glass-makers to create their own work of art during one of our WMODA workshops. 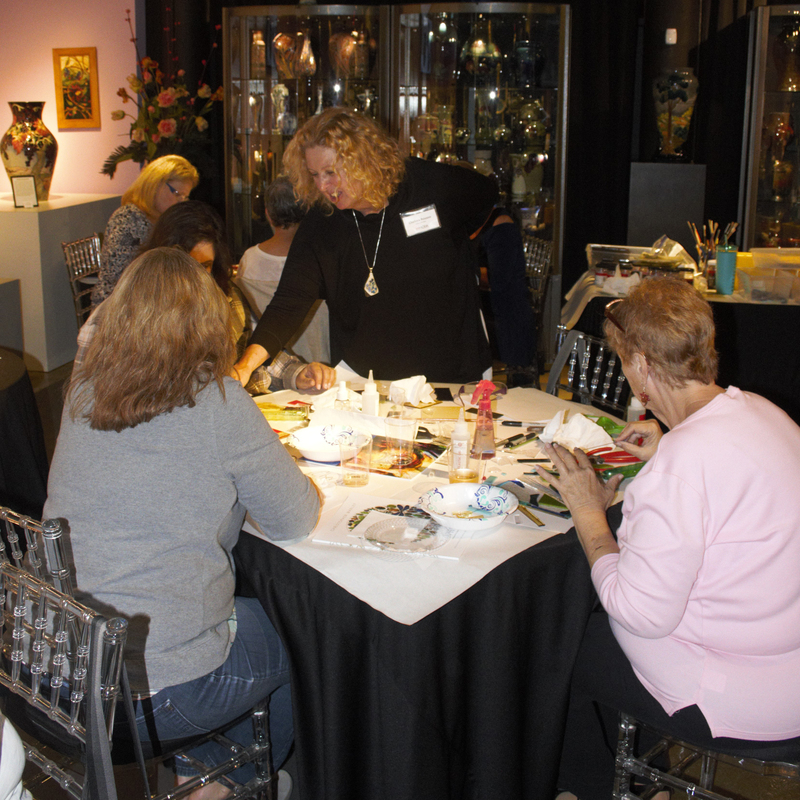 Everybody was thrilled with the workshop and the results.